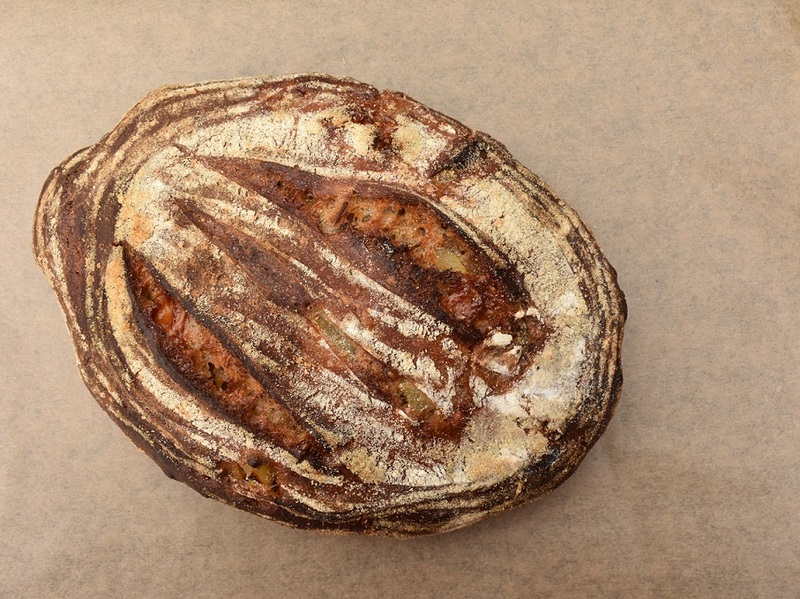 I have been positively itching to be able to use my starter again for a loaf, so working in some sweet, juicy pears and salty Parmesan was just what I wanted for my inaugural sourdough resurrection bake! …a heart-sinking gloopy mass with an aroma that could only be described as rank! I scraped off the top few inches to see what was below, thinking that as a new starter was probably on the cards, what had I got to lose? BUT I managed to get a teaspoon or so of starter from the bottom: more like putty than a recognisable starter, it had a more pleasant fragrance so I decided to use this to try and make up a fresh batch: nothing ventured, nothing gained……so 100g each of flour and water was mixed in, half was discarded the next day and then repeated (the usual feeding cycle)…. ….and after a couple of goes I had a nicely bubbling starter again. Phew: lesson learned and now it is back to being my often-cared-for kitchen pet! 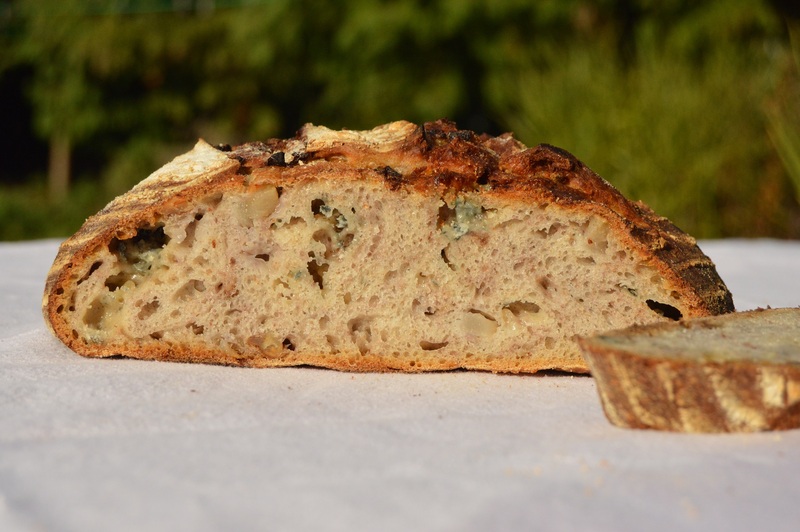 For this bread, simply make up the dough as in the recipe above, omitting the walnuts and replacing the Gorgonzola for 200g Parmesan. Shape and bake as in that recipe. Top tip: pat out the dough after its long rise (bulk fermentation) before you want to shape it. Then sprinkle over the pear and Parmesan evenly, roll it up loosely (like a Swiss Roll) and shape. great flavor combination! 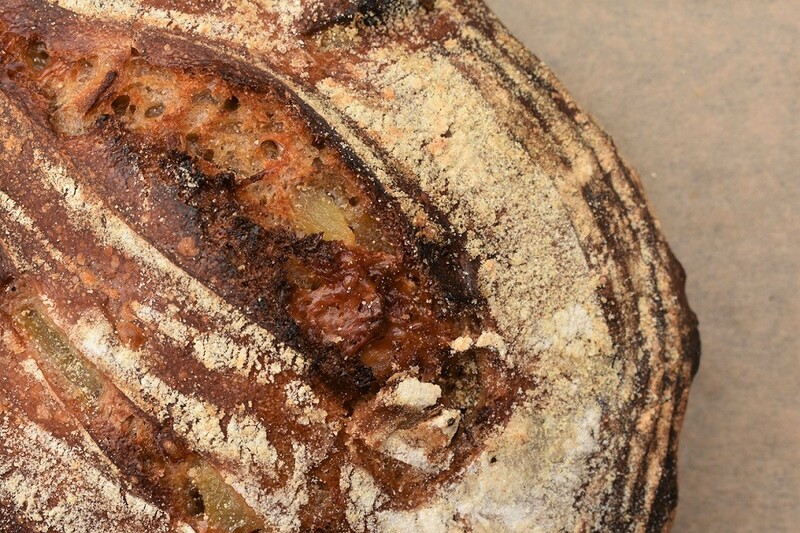 I’ve never used pears in my sourdough bread, but I can tell it works great! yes, I’ve been guilty of neglecting my sourdough too, good thing they usually come back from the depths of hibernation.. This looks and sounds wonderful! I’m sure the pears add a wonderful moistness as well. I’d maybe add some chopped walnuts? It’s a beautiful bread. Btw…u know you can dry your sourdough starter as a backup…? 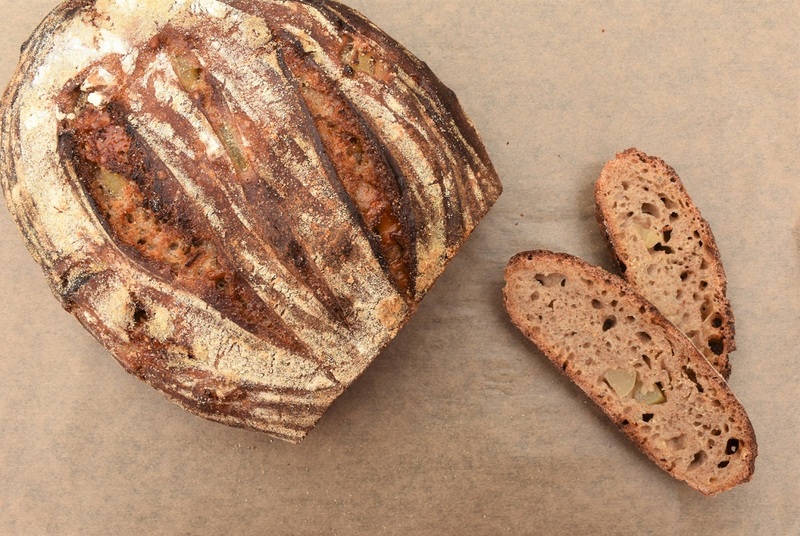 It can be rehydrated and that way you can save your “old” good quality sourdough and u dont have to start from scratch if it ever really goes bad.